Guardian is one of Australia's most trusted retail brands, with over 200 Guardian Pharmacies nationally and more than 30 years in the business. We are committed to enhancing the role of the pharmacist in the community. Guardian is number 1 for the most satisfied consumers* - Roy Morgan Single Source, Pharmacy Reprint, Feb 2010. What does Guardian stand for? Guarding people's health is what we do day in day out; we protect the health of our consumers, their families and the communities in which we operate. 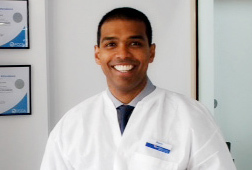 This firm has its sole commercial purpose the objective of satisfying the pharmaceutical/health needs of its customers. It will be acknowledged as the icon in its industry and region. Team members will be delighted to be part of the firm and a happy working environment, with opportunity for professional advancement and personal growth and have involvement in the decision making process within the firm. There will be a high level of trust and mutual respect amongst all team members, owners and clients. Each person will understand and subscribe to the firm's mission and will be given an opportunity to assist in its accomplishment. The owners of the firm will always place the welfare of the firm and that of its clients above their own self-interests. The firm will strive to be innovative in its service delivery and will be guided by its principal purpose. The service it offers will be clearly defined, highly structured and priced in accordance to the value it represents to its customers/clients. Being under new management, Guardian Compounding Pharmacy Landsdale is now headed by 17 years of pharmacy experience by Ravin Pushpa - With the great reputation and friendly service that Guardian Pharmacies developed over the years to create what is now a very successful, trusted and well known pharmacy. They pride themselves on offering a very high level of customer service where the customer always comes first. They enjoy being involved in the local community, donating and sponsoring many local charities and groups. The owners have a good working relationship with all local health practitioners including the adjacent to Landsdale medical centre. 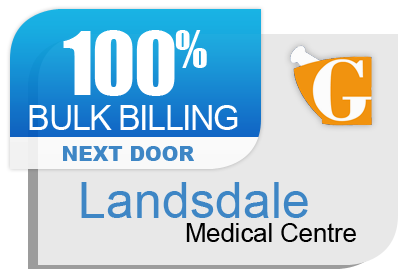 It 100% bulk bills all patients and is open until 11pm Monday to Friday, and to 8pm on weekends and public holidays. The pharmacy also offers great value in its wide range of products including its strength in cosmetics, nutrition, baby products as well as some competitively priced household products. Come in and see us, we look forward to servicing your needs. Our aim is to create a modern and welcoming environment that exhibits trust and provides an experience that you, the customer, will feel comfortable knowing your personal needs will be treated the way you expect, and handled in a timely and efficient manner. Our motivated and committed team are dedicated to bringing you all of this along with; value for money, up to date information and advice, and provide it in a friendly, consistent and modern way.